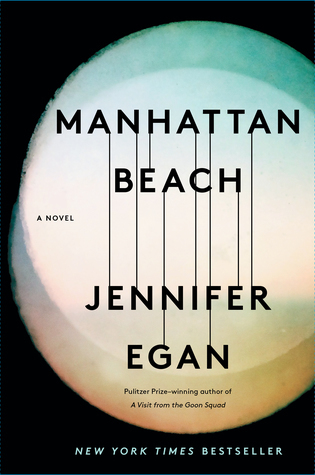 Manhattan Beach is as traditional as Egan's 2011 Pulitzer Prize winning A Visit From The Goon Squad was inventive, a work of historical fiction that follows the lives of three characters that we meet in the first chapter before we leap forward ten years. For people who waited six years for Egan's next book to be published, expecting something as inventive as Goon Squad, this could have been disappointing. For some, I suppose, it was. But Egan is such a great writer and the three different character's lives are so interesting, that I don't suspect that was the case for most people. It certainly wasn't for the many reviewers who put it on their best-of lists in 2017. It certainly wasn't for me. 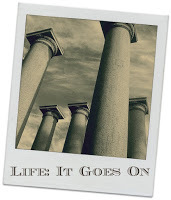 This is the story of three people's fates and the way they are wound together. It's the story about the people with whom they surround themselves. Mostly, it is about the way their work lives shape their lives; Egan spends most of the book watching these characters with their very unusual jobs at a very unusual time in our history. A book about the working lives of three people sound dull? It's not. Not when you consider that Dexter is a mob guy married to the daughter of one of the richest men in America. Not when you consider that Eddie is a bag man for the mob who struggles with the fact that he can't stand to be around his youngest daughter who handicapped while at the same time he is trying to do right by her. Most especially when you consider that Anna is a woman who finds herself able to work in a field that would never have been available to her if not for war. Egan is more than adept at giving readers just as much detail as they need to have to understand historical context or how things work but she never strays into including every detail she learned about it, something so many writers are guilty of doing. 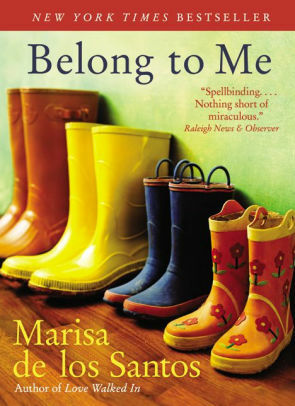 I understood how heavy and awkward the diving gear Anna had to wear was, how tough it was to work in it, and how dangerous but Egan only gives readers what they need to understand how desperate Anna was to escape the life in which she had found herself. Here's the thing, though. As much as I enjoyed this book as I was reading it (and I enjoyed it a lot), while details of the book have stayed with me, my feelings about this book have gotten a little murky. I'm wishing I would have put in words what I was feeling about the book just as I finished it. As it stands now, I'm not sure it will find its way to my favorite books of the year list. It might have two weeks ago. 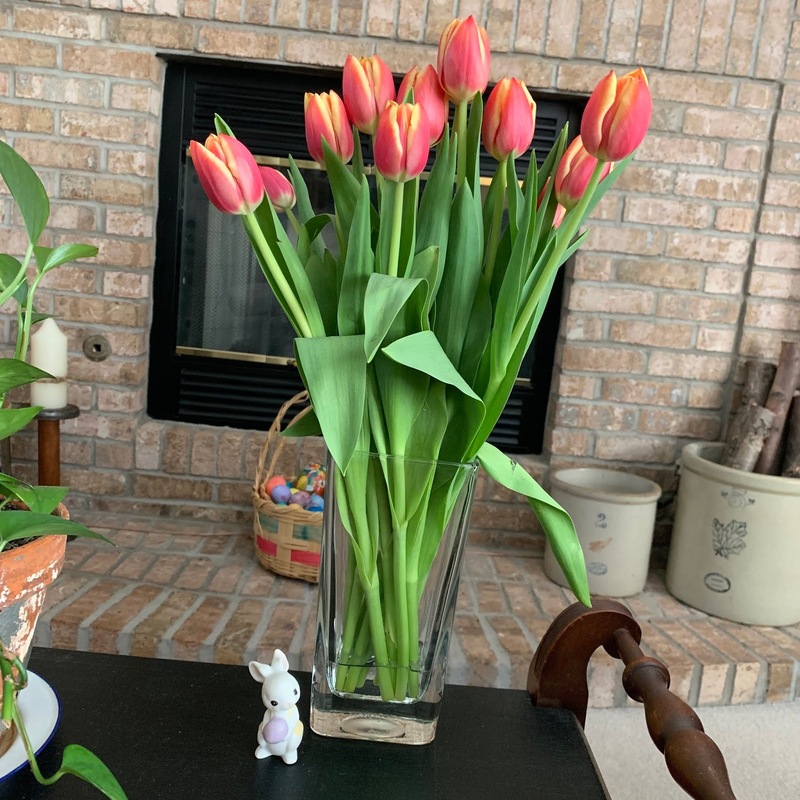 Happy Easter to those of you who celebrate! Things are quiet around here this morning and there won't be any ham dinner or Easter baskets today as Mini-me and Ms. S aren't able to get home and Mini-him is winging his way to NYC this morning for work. Thanks so much to our friends who included us in their family's Easter dinner last night, we still got to have ham and yummy potatoes and all of the other deliciousness. Mini-him and Ms. S are headed to my sister's house so I'm happy that they will get to spend the day with family, especially because my parents are there and they haven't seen my parents since their wedding. Stage one of the great Shep-Kids-Moving-Extravaganza is finally, officially, over. Mini-him and I got the last of his stuff moved and cleaned the apartment last week and yesterday he turned in his keys. Now we get to move it all again in two weeks. Up three flights of steps. Ugh. Wonder how much it would cost me just to hire it done?? Listened To: Thanks to a lot of extra driving this week, I'm finishing up Michelle Obama's Becoming today. I will be sad to be done with it, always the mark of a good book. Then I have about five days to listen to a 12 hour book, Washington Black. Not sure how I'm going to make that work but since it will take me weeks to get it again, I'm going to try to make it work. Watched: Ummm...I'm not really sure. Some John Oliver Last Week Tonight, some HGTV. I really haven't been paying much attention to that babbling machine this week. 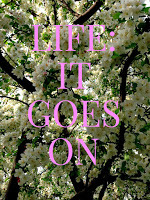 Read: I finally finished Live Through This. As a mom of a daughter, it was a tough read but well worth the time. Also finished Lisa See's China Dolls for book club; it makes a good book for discussion but I didn't think it was one of her better books. Made: Tacos, BLT salad, burritos - simple and light. We finally got to have a dinner on the patio which was glorious! For the Easter dinner last night, I made a cucumber/strawberry salad with a vinaigrette dressing, French silk pie, and put together a charcuterie board. Enjoyed: Getting my hair done yesterday, some thrift store shopping, and time with friends. Planning: I think I have nothing on the calendar so I'm excited about that. I've been so busy working on getting Mini-him moved out that my own house has been neglected and really needs to get cleaned. Thinking About: Gardens and flowers. I'll head over, maybe later today even, to start getting plants. Feeling: A little sad that we are not with family today but also happy to have a day to just be. Looking forward to: Seeing baby goats today! I'll explain later and pictures will be involved! Question of the week: How did you celebrate this weekend? Everyone has secrets. Some we keep to protect ourselves, others to protect those we love. A devoted city dweller, Cornelia Brown surprised herself when she was gripped by the sudden desire to head for an idyllic suburb. Though she knows she's made the right move, she approaches her new life with trepidation and struggles to forge friendships. Cornelia's mettle is quickly tested by judgmental neighbor Piper Truitt, the embodiment of everything Cornelia feared she would find in suburbia. A saving grace soon appears in the form of Lake, and Cornelia develops an instant bond with this warm yet elusive woman. I would wager to say that I've had this book on my shelves for eight or so years. It's one of those books that everyone was reading once upon a time and so I picked it up when I found it on sale. And then...well, you know the story - shiny new books or it never seemed to be the thing that piqued my interest. But when I was pulling books that might be good for Dewey's Read-a-thon, I thought this one might just be perfect. I was right. The setting: although this is not entirely the 'burbs like I know the 'burbs (it's a neighborhood of older homes), it also is exactly the suburbs as I know them. The queen bee, the hierarchy, the overwhelming need to have everything just so and to fit in. I have known people just like Piper and Cornelia. I could relate to them, the way gossip races through a neighborhood, and the way people in suburbs can be hyper-judgmental. The characters: for the most part, I really thought de los Santos did a marvelous job of creating characters that were multi-dimensional. Sure, Piper is a queen bee b*tch but I swear to you, you will come to care about her. Dev (Lake's son) is an extremely smart kid but de los Santos focuses more on the ways he's just like every other kid. Elizabeth, Piper's best friend, is a woman who spent a fortune to remodel her kitchen into a state of the art room but she's also a woman with a marvelous sense of humor. The ending: if this were a television show, the last chapter of this book would be that scene at the end where all of the characters are gathered around a big table laughing, talking, and smiling while the perfect song plays over it all. It was just the way I wanted the book to end. But de los Santos didn't bring readers to that point without some struggle and it isn't all happily-ever-after. The writing: I quite enjoyed the cleverness of de los Santos' writing right from the beginning of the book. She was able to make me chuckle throughout; more importantly, she was able to make me cry, and you know how rare that it. Lake: I sort of felt like her story was a bit too convoluted and I can't say that I liked her. I think readers are supposed to feel sorry for her. But this is a woman who finds herself in a predicament more because of the lies she's told than the things that have happened to her beyond her own control. And those lies take a terrible toll on others around her. It could have been maybe 50 pages shorter. There were places where I felt like things weren't as tight as they might have been and there were some characters who de los Santos included who I think could have been left out without losing anything from the story. "I had lit out for the suburbs in the manner of pioneers and pilgrims, not so bravely and with fewer sweeping historical consequences, but with that same combination of discouragement and hope, that simultaneous running-away and running-toward." "I loved the noise, opening my window to let a confetti of sound fly in. I loved how leaving my apartment, in pursuit of newspapers or bags of apricots or bagels so perfect they were not so much bagels as odes to gloss and chewiness, never just felt like going out, but like setting out, adrenaline singing in my veins, the unexpected glancing off storefronts, simmering in grates and ledges, pooling in stairwells, awaiting me around every corner, down every alleyway. Imagine an enormous strutting peacock with the whole jeweled city for a tail." "Happy childhoods happen. Ours happened. What came back to me, with lightning-crack vividness, as I looked out the car window, were the clusters of women, at birthday parties, cookouts, standing in yards and kitchen, the air warm with their talking, and how oddly interchangeable we all were, women and children both. The woman who picked us up when we fell down or wiped our faces or fed us lunch or yelled us down from treetops or out of mud (all of it so casually, with barely a break in the conversation or an extra breath) may have been our mother but could just as easily been someone else's. We hardly noticed. The women merged into a kind of laughing, chatting, benevolent blur, a network of distracted love and safekeeping." This last particularly appealed to me. This was the neighborhood of my youth. I know I was blessed to have had it and I wouldn't change it for anything. One of these days I'll be able to use my spring photo for these posts. Not quite yet, though; not when I've had to cover the plants overnight because the temps went well below freezing. On the other hand, it will get up into the 70's again this week. So there's hope. Stage One of the great Shep-Kids-All-Moving marathon is, more or less, done. We got the majority of Mini-him's stuff into a storage unit today, thanks to his friends. For the next three weeks, he and his cat will live here. Well, the cat will; Mini-him leaves in a week for a two-week work trip. Once he gets back, we'll move everything back out of storage and into his new place. Seven weeks after that, Miss H will move out. And in between them, Mini-me and Ms. S will move into their new house. Such exciting times for all four of them! Listened To: I finished listening to Jennifer Egan's Manhattan Beach and started Michelle Obama's Becoming. Guys, Obama could make a living reading books if she was ever hard up for money; I am loving listening to her read. Watched: College basketball, John Oliver's Last Week Tonight, some Real Housewives, some of The Voice. The television's been off as much as it's been on and I've loved the quiet. Read: Both my book club selection for this month and Live Through This which is a memoir by a woman whose very young daughters were drug-addicted runaways. It's a tough read but she is very honest about the ways in which her actions contributed to their behavior. Made: Fried peanut butter and jelly French toast sandwiches - not exactly health food but topped with powdered sugar and fresh raspberries and served with eggs, they were the perfect comfort food one evening. Enjoyed: Opening night for our Triple A farm team for the Kansas City Royals, the Omaha Stormchasers. It got chilly and we whined about it but the Big Guy, the friends we went with, and I all agreed it beat the heck out of the year it was 28 degrees on opening day and we were in full on winter gear and still freezing our heinies off. Welcome to the family, Vivian! Planning: On helping Mini-him clean up as much as he can in an apartment that two other guys are still living in so we can call that done. Then I'm back to doing 40 Bags In 40 Days in my basement while dodging a cat that is very angry about life right now. Mini-him's cat is not the friendliest cat in ordinary circumstances and all of this upheaval has him in a tizzy. But I've only got six days left of 40 Bags and I'm determined to make the most of it. Thinking About: Right now I'm actually trying to shut my brain down. It's been working overtime the past week and I'd love to be able to go to bed tonight and fall asleep right away. 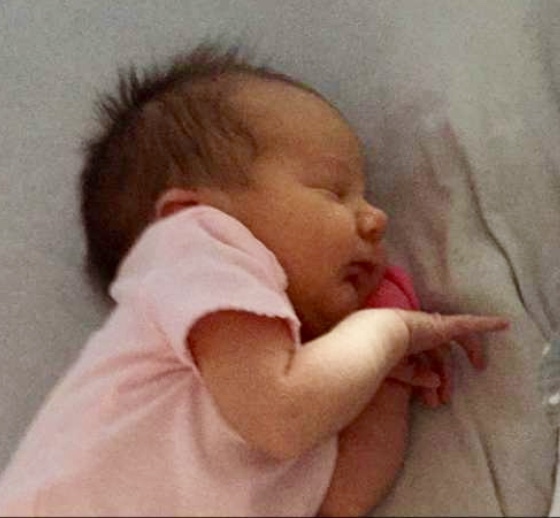 Feeling: Excited - we welcomed a new great-niece into our lives this week and I cannot wait to meet her. Hope to get south sometime in May. Looking forward to: The final season of Game of Thrones kicking off tonight. It will be fun to have Mini-him here to watch with us as he's the person who turned us on to it. Question of the week: I've clearly been in "Mom" mode this week. It's a role I've always reveled in so I'm not (entirely) complaining. Still, I'm sort of feeling like I've lost track of my word for the year, "enough." How do you tell people "I've done enough" when they ask you to do things? I don't recall knowing when I bought this book that it was the first of the Hercule Poirot series; in fact, Christie's first novel. You wouldn't know that reading it. 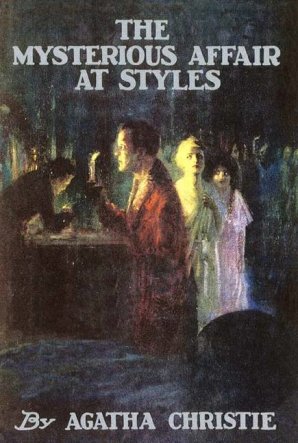 Poirot is not some young chicken; he and Hastings have known each other for years at the time of this book and Hastings often refers to Poirot being past his prime. In fact, that's one of the fun things about the book, the way Hastings often looks down a Poirot (a character we know now will come to known to readers as a master when it comes to solving mysteries) and the way Poirot uses what he knows about Hastings to aide him. "It is said to be the author's first book, and the result of a bet about the possibility of writing a detective story in which the reader would not be able to spot the criminal. Every reader must admit that the bet was won." Yes, indeed. I frequently changed my opinion about who the murderer was and I was wrong. In my defense, though, this is one of those mysteries where there are some pieces of the puzzle the reader is not privy to until the final solution is revealed. Still, there were so many little pieces and turns of phrase that even had I known it all, I don't I would have solved the mystery. This novel (or, at only 124 pages, more precisely, novella) makes it clear why Christie became such a superstar of a mystery writer. I quite love that she was able to get so much into so few pages and I really did race through this book even though I meant to read slowly so that I might try to solve the mystery. Have you read this one? Did you figure it out before Poirot revealed all? It's been years since I read any of Christie's books. How silly of me. It won't take years longer for me to pick up another.